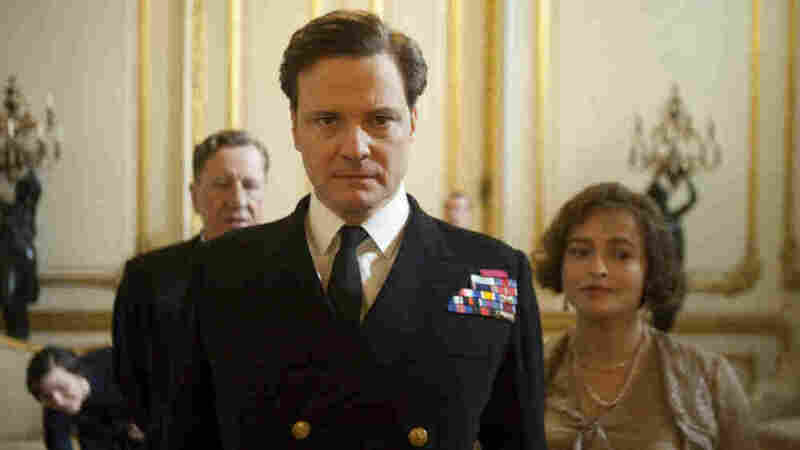 Colin Firth: This King's 'Speech' Had A Different Ring In <em>The King's Speech</em>, Firth plays King George VI, a reluctant royal who struggles to overcome a debilitating stammer. Firth tells NPR's Robert Siegel that despite being born of privilege, the king had a pretty painful existence. A grim string of events informed King George VI's stammer. His family forced him to become right-handed. His nanny starved him and regularly drove him to tears, for reasons of her own. By the time we meet the future king of England in Tom Hooper's film The King's Speech, the phrase "tightly wound" doesn't quite do his personality justice. A tense and guarded man, he comes off as distinctly unhappy. Colin Firth, the actor who plays him, suspects he knows why: Before his stammer was properly addressed, the king's daily existence was painful for him. "David Seidler, our writer, is someone who battled with a stammer for much of his life," Firth tells NPR's Robert Siegel, "and he described it as something which really is all-consuming. It's not just an inconvenience that you can isolate; he said it became the be-all and end-all of everything. "It would determine what you ordered in a restaurant," Firth explains. "It would determine how you answer the phone. If you had a task to do that day, you'd think less about whether your task is going to be fulfilled -- you only worry about whether you can say what you have to say." The King's Speech follows George VI's work with a therapist (Geoffrey Rush) to conquer his speech impediment. The stakes are high: World War II is fast approaching, and England increasingly looks to the king for leadership. To replicate the monarch's diction, Firth had to have quite a bit of coaching himself. And not just to convey the painful stammer: A period piece, The King's Speech is set in 1937, when England's upper classes spoke a different kind of English and lived a different, more rigid kind of life. "It was more clipped," Firth says. "No one really talks that way anymore, [and] people don't behave in quite that way." 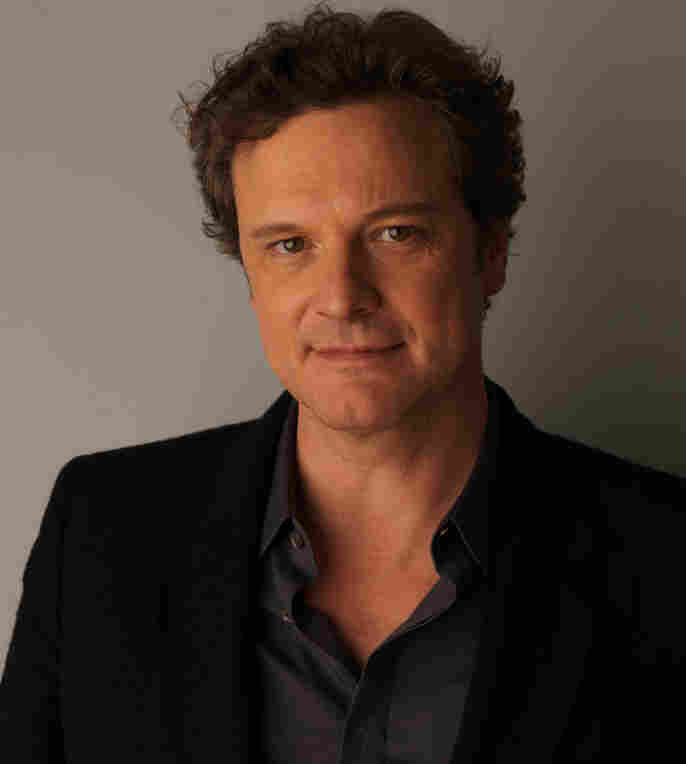 Firth says he drew on his grandfather's speech patterns to perfect his vocal performance. "Funnily enough, because [the events of the film are] recent enough, and we do have recordings, et cetera, I think we had to make more effort to observe it," he says. "But it wasn't an exercise for its own sake," he adds. "You realize how tight this guy was through listening to him. It sounded to me as if his jaw was locked even when he was able to get words out. Those things are just useful, because they informed [how] I played the character in all other respects." Despite the evident hardships that informed the king's stammer, Firth admits that the film could easily have portrayed George VI as a much less sympathetic figure. A man whose uncles had fought the First World War and destroyed Europe, he was the scion of an almost incomprehensibly wealthy family; they lived in palaces while the rest of Britain suffered through the Great Depression. "I was afraid of trying to ask for sympathy," Firth says. "I think we needed to explain the damage and where it came from, but I didn't want people to feel sorry for him on that basis. This is a story about his struggle to overcome these things, and I wanted people to respond to that." Despite the king's insular world, however, Firth says the story is universal -- albeit in a way that's hard to explain. "It's a pretty hard sell, you know," he says, chuckling. "[It's hard] to go up to somebody and say, 'This film applies to you -- and it's 1937, and it's about a member of the royal family, and it's about someone who has a stammer.' You know, most people you say these things to won't be a member of the royal family. And here we are in 2010. "And yet," he says, "people seem to have very strong emotional and personal responses to this film. Anyone who has [experienced a moment] in their life which says, 'You're up, this is your moment, you have to deliver,' and has been afraid of that moment, I think will respond to a great deal of this."